It’s that time of year – the moment for spring cleaning your fridge. 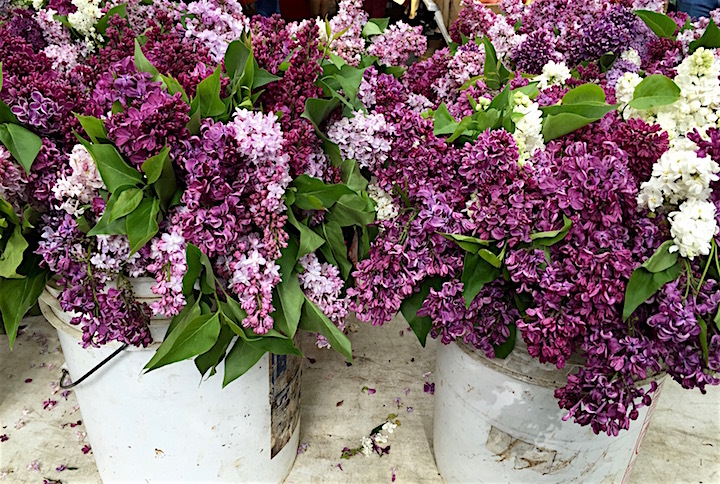 You are craving some fresh greens but planting season has barely begun in the Northeast. Sautéed bagged greens have worn out their welcome and you want something to taste fresh. 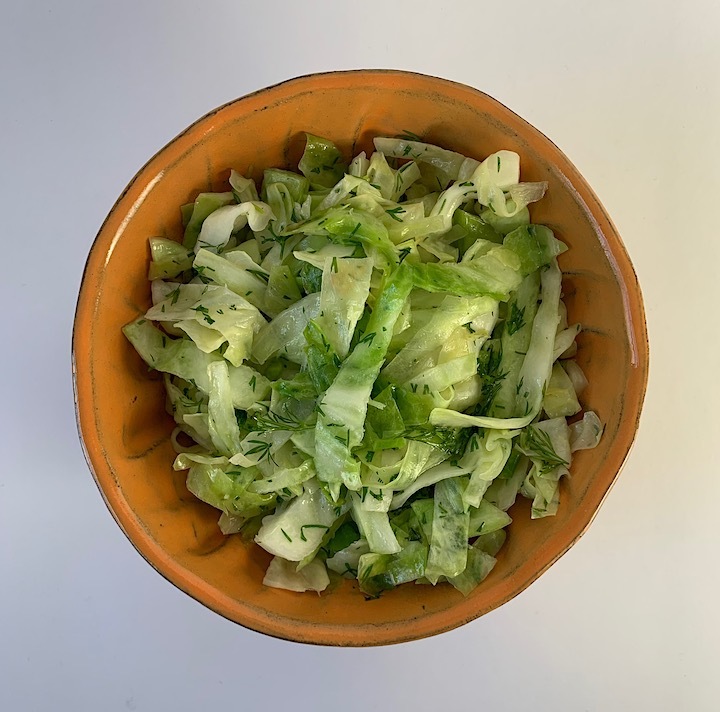 My suggestion is to turn to the reliable old green cabbage that has made it through the winter in the back of your refrigerator (and needs to be cooked anyway) and liven it up with some fresh herbs. Spring cleaning is one of the few annual rituals I actually participate in wholeheartedly. I dive into dusting, wiping, washing and vacuuming with a kind of mania I don’t have for cleaning the rest of the year. I think that I hate the heat of summer so much that I try to go into it with the most strenuous cleaning behind me. It is also a great time for purging the your pantry and fridge of anything which has been in there too long – oils or nuts that smell rancid, horseradish that has lost its zip (time to make fresh), the jalapeños you meant to use but are now a mushy blob in a bag – you get the idea. 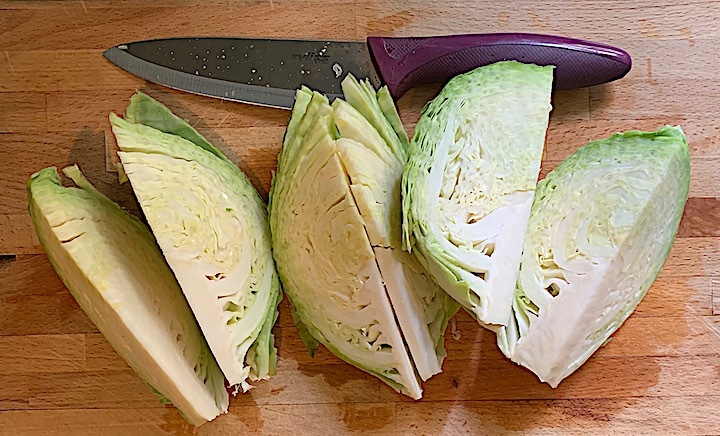 If your cabbage is looking a little sad, soak it in some icy salt water after slicing to perk it up. 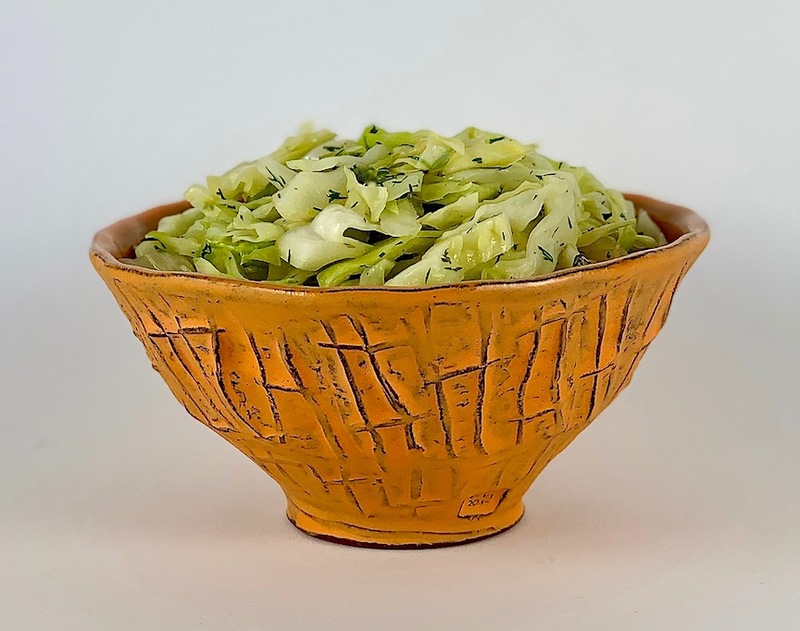 You can sauté in a combination of olive oil and butter for flavor or simply use olive oil and toss in your herbs just as the cabbage finishes cooking. If you don’t like dill, use parsley or cilantro. Err on the side of more herbs than less. If you want to vary the dish, add some carrots, sliced or julienned, or if you want to sauté an onion or some garlic before adding the cabbage, go for it. My only unwavering advice is to be very careful not to overcook the cabbage. You want the cabbage to be green and not soggy. This dish is a breeze to prepare, tastes great and packs a nutritional punch (cruciferous vegetable plus herbs). What could be easier to cook as the weather warms and we look forward to the arrival of spring greens? 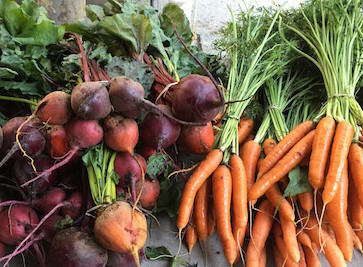 (For a few other spring suggestions for using up things in your vegetable drawer or year round vegetables, see my past posts on carrots, watercress, cabbage salad, parsnips and watermelon radishes). 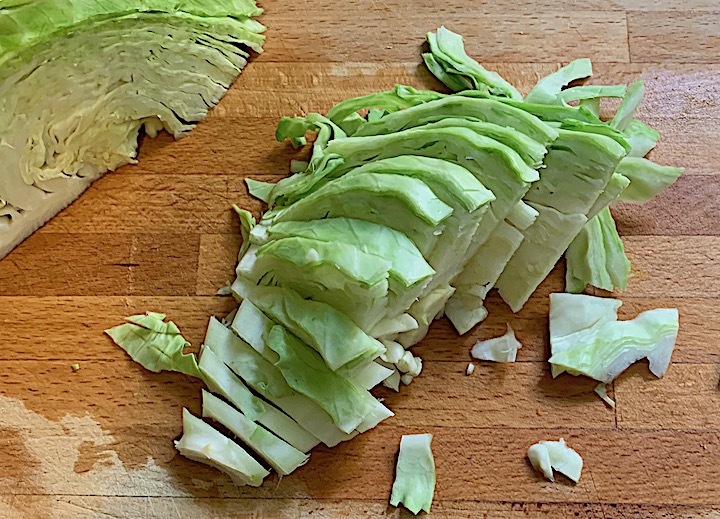 Cut the cabbage into 6 sections (vertically through the core) and then slice each sixth into thin slices. Heat the oil in a large sauté pan and when hot add the cabbage. Add a tablespoon or two of water, as needed, to help the cabbage cook quickly and add the salt. Sauté until just starting to soften but still bright green. You want to keep a bit of crunch. Remove from the heat and add the pepper and the fresh dill, toss and serve. This dish keeps well when refrigerated for a couple of days and tastes good at room temperature, if you don’t want to reheat it. I got this Sunshine Cobb earthenware bowl last spring at The Clay Studio in Philadelphia and it has quickly become one of the most used in our home. It is the perfect size for rice, yogurt, nuts – so many things – and the texture keeps it from slipping out our hands when washing. I enjoy the contrast of the glossy interior and the sandblasted matte exterior as well as that color – it is pure sunshine! 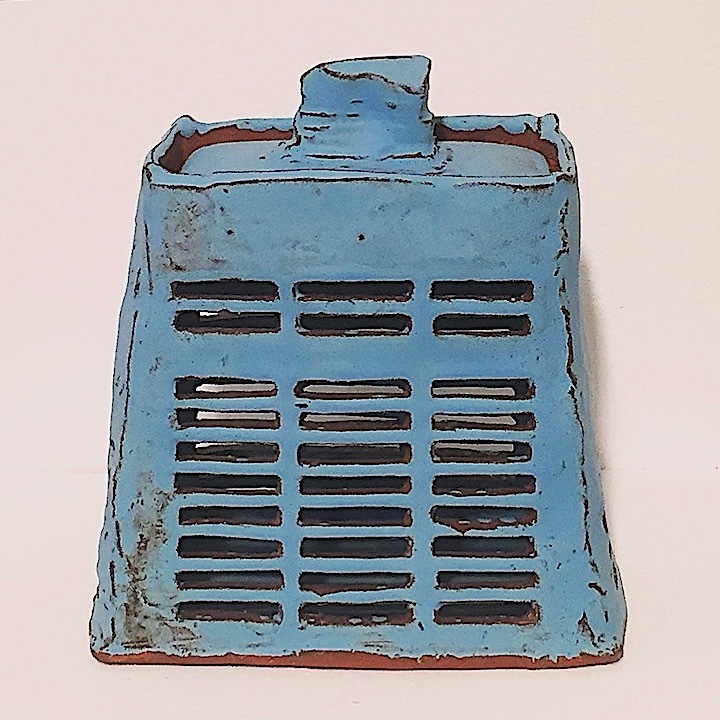 Cobb makes a wide range of really appealing functional ceramics from whiskey cups, tumblers and mugs to rectangular servers, garlic keepers and vases. I just may be tempted to collect (and use) an assortment in all her beautiful colors!